The Moon is directly related to the drama in life, the emotional center. So we begin our journey with the sign of Aries. 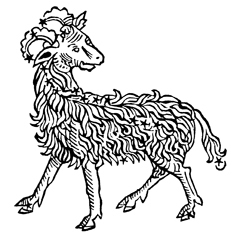 Aries is ruled by Mars, and thus it is very aggressive and assertive energy. As an emotional center, this is not a great place for the sign of Aries. This will make the energy emotionally aggressive or assertive. So it is a great place for being more selfish or taking care of matters that will help further one’s aims. It is a time to start projects that physically effort is required, as using the emotionally aggression in a physical way is great way to apply this energy.